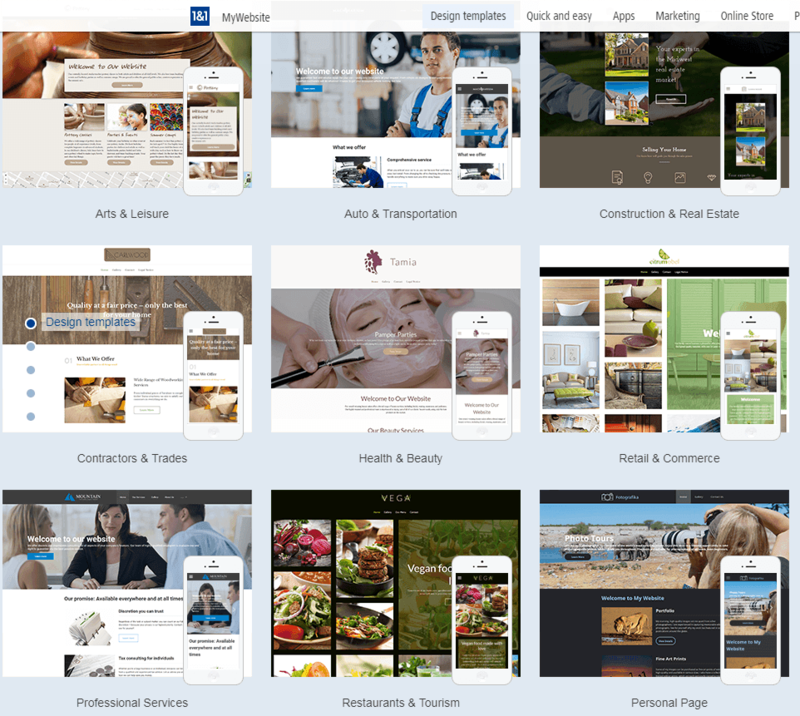 The 1and1 IONOS Website Builder promises users the ability to quickly build an online presence using stunning customizable templates, versatile editing and design tools, business-oriented web apps, and an exciting assortment of marketing tools. 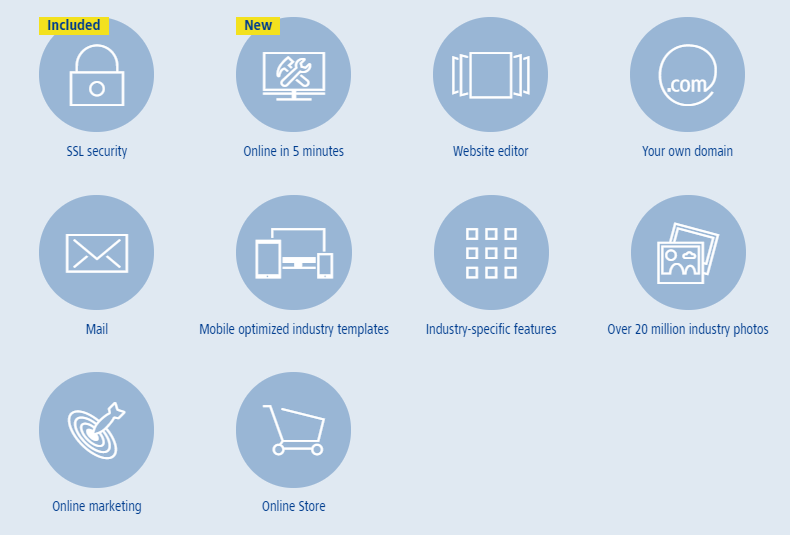 You can choose from up to 10,000 industry-specific templates that have been built to be fully-responsive. It does feel a little clunky compared to other website builders, and it lacks standard features such as site exporting and a mobile site editor. But all in all, this builder gets the job done, helping you create an online presence without too much of a hassle. In this day and age, creating and editing your website should not be a monstrous task best left to the tech whizzes. With a solid website builder, you can create your own amazing website with just a few clicks and a basic understanding of technology. This is what 1&1 promises — the ability to simply build an online presence using stunning customizable templates, versatile editing and design tools, business web apps and an exciting assortment of marketing tools. Whatever your industry, 1&1 IONOS lets you choose from over 1000 website designs that can be automatically optimized for desktop and mobile devices. Looking to cater to your international customer base? You will love the integrated Google translator tool that easily translates your website content in over 50 languages. A really cool feature of this site builder is its intuitive editor that lets you seamlessly move elements to build vibrant webpages. Admittedly, 1&1 IONOS feels a little bit clunky when compared to other site builders. It lacks standard features such as the ability to export your website and a mobile editor but this in no way makes it a less suitable platform for building fantastic websites for any type of business. Endless choice: With 1&1 IONOS, you have a choice of up to 10,000 attractive templates for every industry you could possibly think of including construction, travel, photography, medicine, and so much more. Responsive: 1&1 IONOS takes the fuss out of switching theme layouts – you can change layouts as much as you need to with the assurance that your content will be transferred to the new layout. Drag and drop: One of the coolest features of this site builder is the ability to simply drag and drop the many elements available to build great-looking webpages. Building a page has never been easier! Blog: A business website is not complete without a blog. 1&1’s blogging tool makes it super easy to build one; just drag and drop the blog element and you’re good to go. The MyWebsite Blog mobile app available on the Apple store lets you post blog posts using your smartphone or tablet. This is a pretty awesome addition given 1&1’s lack of a fully-fledged mobile editing option. Image Editor: If you like to play around with images, 1&1’s intuitive image editor is a great tool to get your creative juices going. From cropping to resizing, you can do it all without worrying about distorting the image as you add it to your website. Integrated Storefront: Adding an online storefront to your site is a matter of dragging and dropping the PayPal Mini Shop from the control panel and voila! You are just a few steps away from pushing out product orders. Admittedly, some of the 1&1 IONOS tools are somewhat awkward and may require a slightly longer learning curve. Nevertheless, these tools do get the job done. The Setup Wizard is especially helpful with its wealth of information to help you set up your online presence. With the responsive template designs you can select and change layouts on the fly, and move elements around to fit both small and standard screens. 1&1 IONOS provides you with a lot of material to help make it easier to build your website and ensure its success. This includes their unique guide to digital success online and online tutorials, in addition to the familiar live chat and phone support. In my interactions with the customer service people at 1&1 IONOS, they were very helpful and got back to me promptly. In addition to the detailed online guide that gives you plenty of information on how to use the site builder, they have phone support and 24/7 live chat, which is a big plus. Do have a look at their video tutorials for well-done visual guides on how to go about building your online presence. What Is the Cost of Building Your Own Website? 1&1 IONOS has recently made the switch from a four-tier pricing structure to a three-tier one. Their bottom tier, the Essential package, offers everything you need to build a personal website, including prefilled templates, a free domain and email account, and social media widgets. Basically, the essentials. As you move up, the Business and Pro packages include business widgets and the opportunity to make your website multilingual. The pro package also takes it one step further by offering tools for tailored content, SEO tutorials, and their own email marketing tool for up to 300 emails. Please note there are separate packages to build an e-commerce website. The plans are named the same as the regular website builder tiered structure, but offer e-commerce related options, including payment methods, shipping methods, marketing tools, and online marketplace access, including eBay and Amazon. All e-commerce packages let you sell up to 200,000 products, but you can contact 1&1 IONOS if your inventory goes beyond that number, for extra assistance. With all packages you can use more than one picture per product and have a variety of design templates. It is essential to note that 1&1 IONOS does not offer a free plan, nor a free trial. On the plus side, they do have a no questions asked, 30-day money-back guarantee. But with their packages starting at $1/month, it still remains a good value as compared with other website builders. If you are in the market for a website builder, 1&1 IONOS is worth a try. It comes with great features such as responsive templates, an easy to integrate online shop solution and a wide array of business web apps and marketing tools. Building pages with 1&1 IONOS is as simple as just dragging and dropping and with strategic Undo and Redo buttons, and an auto-save function, making changes and keeping your work safe has never been easier. However, there are quite a few let downs when it comes to usability. A cluttered interface, slow loading times, and limited options for customization make this site builder a little clunky compared to its competitors. But make no mistake, there is a good reason why 1&1 IONOS has been in the industry for a very long time – this site builder is really about getting down to business and helping you create an online presence without too much of a hassle. Like 1&1 IONOS Review? Click here to build your website. Wondering how 1&1IONOS stacks up against other Website Builders? Enter any other Website Builder and we will give you a side-by-side comparison.